It’s a crying shame, because today it’s easier to build a following of qualified prospects and referral sources through social media. And, speed is critical when you launch a product, especially in technology. When you need to get the word out about a new product, service or an event, it’s important to have good data and at least one marketing medium in place to do so. 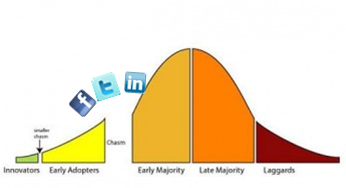 In technology businesses need to “cross the chasm.” The chasm is the point where a technology moves beyond the early adopters (the techies, the geeks who buy early) and successfully sells into the mass market. It’s critical to being a big success. 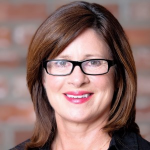 Social media can help tech companies cross that chasm. Social media isn’t the only way, it’s just a newer, cost-effective way. There is also email, online press releases, articles in trade journals, speaking and more. And, one of the best ways for a technology company to cross the chasm is through industry analysts’ (such as Gartner) recommendations. So start early by connecting on social media to industry leaders, writers, and prospective buyers. When you’re ready to launch, you’ll be happy you invested the time. Need help crossing the chasm? Contact New Incite today about our strategic marketing analysis, planning, and execution. Next post: Are Your Social Media Messages Turning Off Buyers?